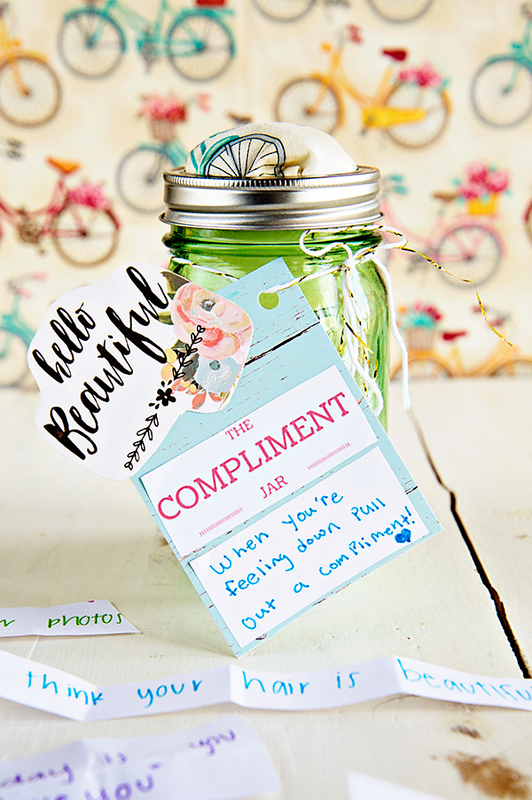 Help make you community a little bit happier by making a Compliment Jar for someone around you. How did that make you feel? I bet it made you feel good because compliments were meant to make you feel good. We love receiving compliments almost as much as we love giving them. It’s really amazing how a simple compliment can turn a day around, isn’t it? We have created a way in which someone you love can have compliments from you whenever they want. It’s called “The Compliment Jar”. About two years ago we were hanging out with our friend Kylee, trying to think of something we could do for our moms for Mother’s Day. As we were sitting there drinking water out of mason jars we finally thought of an idea. We could make a jar full of all the things we love about our moms, pretty it up with some ribbon, and call it good. That’s exactly what we did and our mothers loved it. 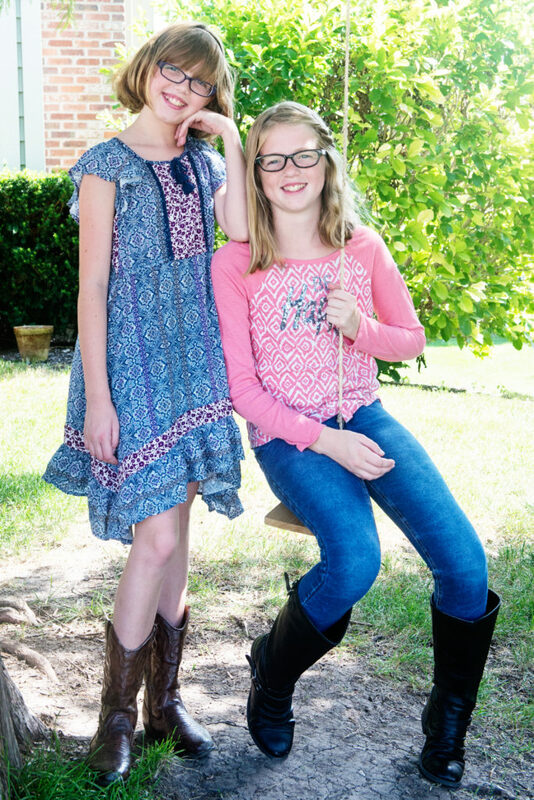 They were able to pull a random compliment from us out of their jars whenever they wanted. It sure made them feel loved! A couple days ago Ella and I were talking with our mom while she was working at her desk. We saw her sad looking, lonely jar with only three compliments left. We then thought about how cool it’d be to jazz up the jar and re-fill it with compliments for her. Help make you community a little bit happier by making one of these jars for someone around you. Your jar can be as simple or as fancy as you’d like… it’s up to you! First, think of who you’re making this compliment jar for, then think of around twenty genuine compliments for this person. 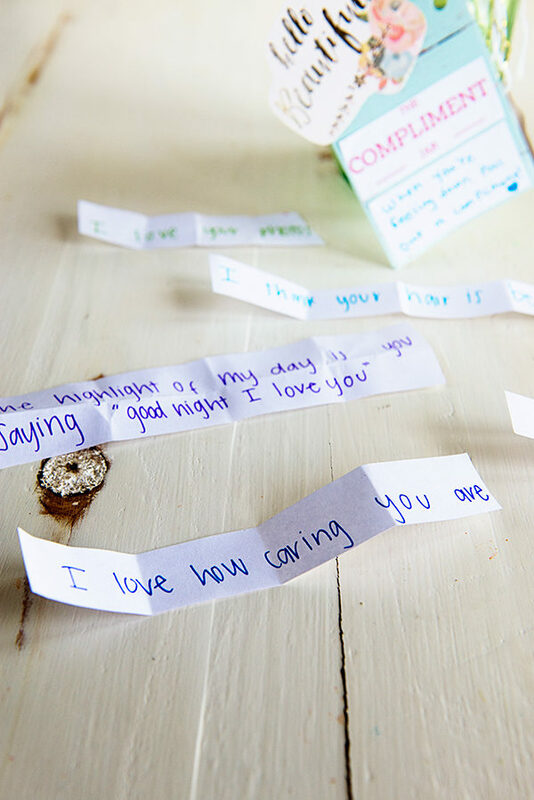 Write each compliment down on a strip of paper, fold it up and put them in the jar. We hot glued some fabric to the top of our lid with a little stuffing underneath it, just to make it a little fancier. That’s totally just an option, but not a requirement. Place the lid on the jar. Add your own little note and tie it on around the top of the jar with a ribbon. We’d love for you to join us in making people happy by creating a Compliment Jar for someone. Take a picture and tag us on Instagram (theaboutwhatblog). Finally deliver it to the friend you created it for and get ready to make their day! Level of Difficulty: Easy you can do it really fast for someone. Looks: It looked really pretty. I especially liked the effort put into the tag. Overall: People feel really good about themselves when they receive compliments from people. Imagine what a whole jar of compliments could do! Level of Difficulty: Medium because we had to do a lot of writing and handwriting is not my favorite thing. Looks: I think it looked so pretty and I like the special touches with ribbon, fabric and the sign we did. 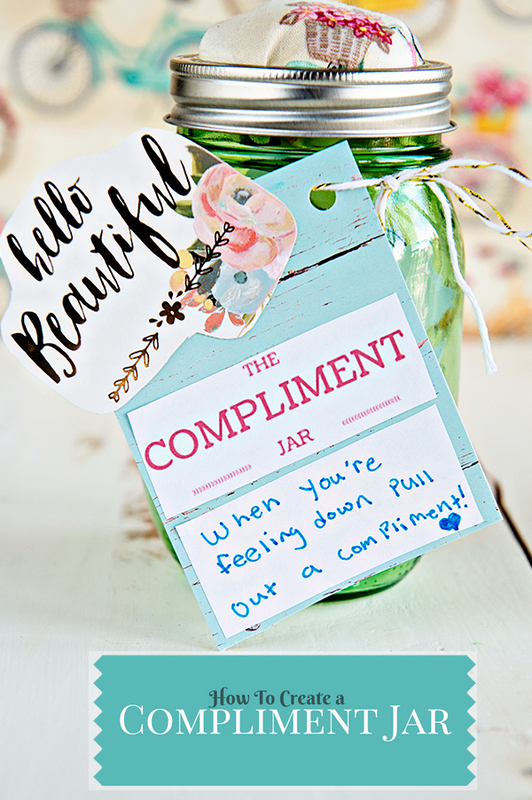 Overall: I think everyone should make someones day by making a compliment jar. One simple compliment can totally change how someones day goes! You girls are so smart! I love this idea. Everyone needs a compliment to brighten their day! Again, I am amazed at the talent level of these girls and their creativity. What a great idea! I stumbled on your blog by accident, but will be back because this idea is brilliant! You are smart, creative and fun girls and are doing a great job here.PS: I hate handwriting anything. These make lovely teacher gifts, too! I have had my children’s classmates write what they loved most about their teachers on different brightly-colored strips of paper. You can embellish jar with teacher’s favorite color ribbons, tags, etc., or school colors. Then, I’ve rolled the paper around a pencil and pulled it through snugly (similar to curling ribbon around a scissor blade.) The colorful, little scrolls look super-cute in the jar.